This one from Obsidian Kitten could be a candidate for Stuff On My Cat. Erica went the Easter pastel route on her’s. She’s says they are a good stash buster & used crummy acrylic for stuffing. 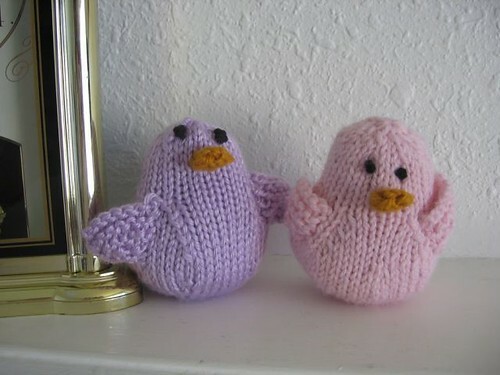 12 years ago by Kat in Easter , Holiday , Knitting , Needlecraft | You can follow any responses to this entry through the RSS feed. You can leave a response, or trackback from your own site. 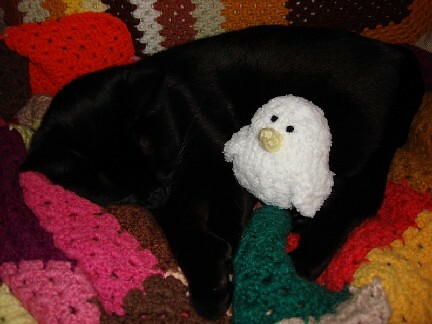 My peep has a squashed picture at my blog. i love seeing everyone’s peeps.